Ender's Game is a novel that seems to come and go. I remember it having periods of popularity at different points during my childhood, with different crowds. It's recurring success makes logical sense, it's the thing in between Starship Troopers and The Hunger Games, a deeply sci-fi driven dystopian epic centered around a society who misuses children to carry out unspeakable acts. 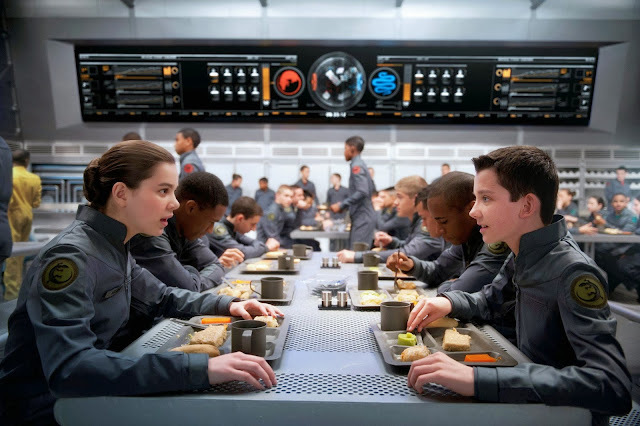 Ender's Game is the root of a thirteen novel arc centered on young Ender Wiggin (Hugo's Asa Butterfield), a strategy wunderkind plucked from ranks of middle school hopefuls and thrown into the orbiting Battle School by Colonel Hyrum Graff (Harrison Ford). The Colonel and Major Gwen Anderson (Viola Davis) have a special interest in Ender. They focus on him, prime him, throw him special challenges within their child army. Ender progresses swiftly, easily, beautifully; picking up their tests and responding appropriately enough, though we're not clear what it is he's being primed for. We know that everything in this society seems to be hinging on the possibility that a race of monstrous, ant-like aliens called Formics will return. They'd wreaked havoc fifty years prior, after all, and left Earth reeling. The attack was a massacre, and reason enough to convince reasonable people that their best and brightest children needed to be shot into space and trained for intergalactic warfare. So, Ender is. He's good at it. Too good. And while the film itself is a competent, successful adaptation, my problems with it are essentially the same ones I had with the book itself. The film doesn't suffer the marks of author Orson Scott Card's unfortunate social politics, and to my memory, the book doesn't seem to reflect that particular issue either. It is pure military science fiction, the type of narrative that imagines a particular world, builds that world in detail, and populates it with characters who spit jargon and move through life with the jaded, chilly airs of human beings at the edge of their own humanity. I never much liked reading this kind of novel because it seemed rooted in exposition more than characters. While I like the aesthetic of a good sci-fi landscape, I don't tend to dig the imagistic aesthetic on the page. When I read books like this (and, when you have my dad, you read quite a few before you even hit middle school) people become odd names interacting with created technologies and cold metal, they speak to forward the plot instead of out of the nature of their character. This is my own subjective preference, of course, and while I didn't feel the need to continue beyond the debut book, I can acknowledge that Ender's Game does what it's doing extremely well. It's interested in what happens when you force a bunch of kids to exchange their childhood innocence for war games, competition, and repetitive team building. It's interested in the fallout of killing off the individual and manufacturing a super soldier. It's also interested, like so many dystopian stories, in making the consequences burden the characters and the story itself. Every single element of Ender Wiggin's life leads to the climactic moment of the narrative... but he doesn't know it, and neither do we. The result, of course, is a debilitating sense of unevenness, undeserved emotional turns, heaviness, and, well, an off-putting chill. Ender's Game is a movie that feels complete up until its hail mary conclusion, at which point all the placed elements become mere set-up for a much larger string of possible events. Unfortunately, like The Golden Compass, the film may never get the opportunity to reach beyond its humble beginnings and build the necessary pieces of its action franchise, in this case largely because the film sticks so closely to the moral questions and creation of a distance between the viewer and the characters. Ender's problems are also its successes, which places the movie at a difficult crossroads. As mentioned, though the action is centered around groups of children, there's little fun to be had. The games are never play, they're always war, and there's something stilted and inhuman about nearly every aspect of the production. 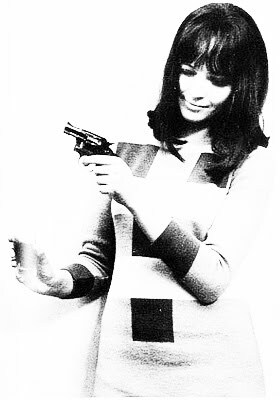 The dialogue tends towards the forced, practiced, over-articulated. Space is too clean, organized, perfectly bland. Imagination is suppressed in favor of cold logic. Butterfield's Ender possesses none of the wonder of Hugo Cabret, and the film's effects beat us into a submission similar to the mental grooming of the child soldiers. 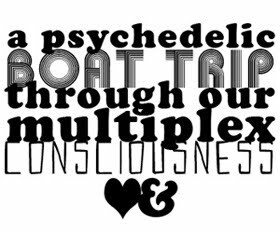 It's an odd experience, bold in its practiced difference, frightening in its rigidity, and bound to receive wildly mixed reactions from audiences. 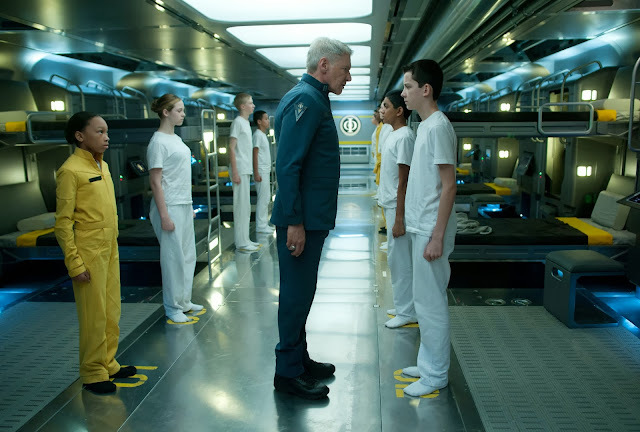 If you're willing to accept that you likely won't enjoy the outcome, Ender's Game does its job as all-ages science fiction spectacle with some degree of skill. It's disarming when the moments where the kids are most at ease, when they're most comfortable with each other become the site of exploitation and betrayal.